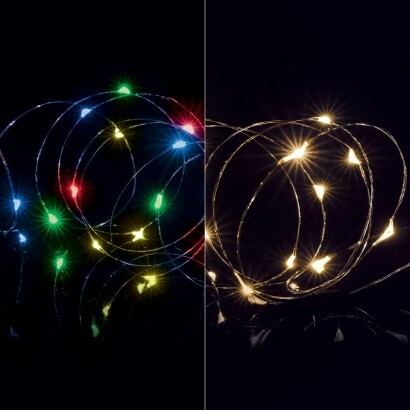 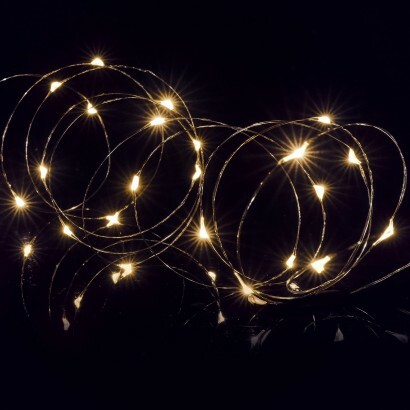 With flexible wire and micro LEDs, Micro Bright fairy lights add a touch of sparkle to table decorations and indoor displays with either warm white or multi coloured light. 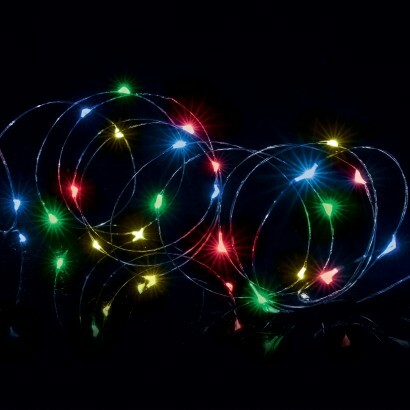 The poseable wire string allows you to bend and manipulate the light string to wind around flowers and vases to make striking table decorations that shine with various functions including static and flashing for magical effects. 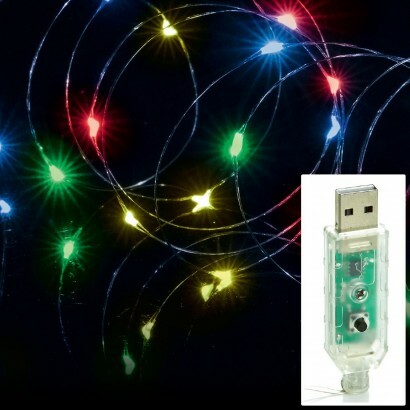 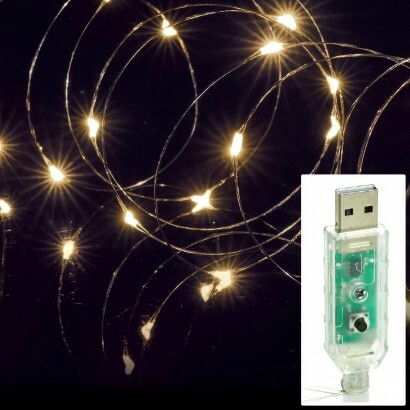 Powered by USB, plug into a USB port, the mains using a USB adaptor or allow freedom of placement with a USB battery box for 4m of illumination from 40 micro LEDs.